It’s a good idea to clear the Google Chrome cache every once in awhile. 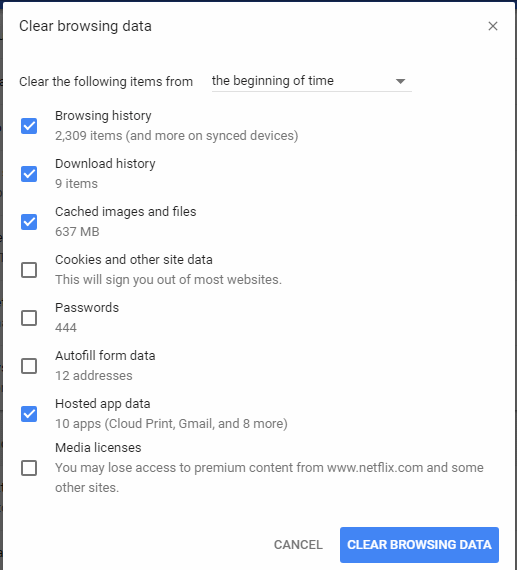 The Chrome cache pre-stores files like images and web pages that sit on your hard drive for faster access if you were to visit the same pages again or pages that have the same components. Having this data on the hard drive can be a privacy issue for some people. Here’s how to clear the data. I have a problem where Google freezes and says “Waiting for cache”. How can I solve this problem? 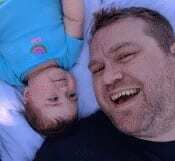 Clearing the cached images and files should solve that problem. Why does nothing happen when I select “CTRL” + “Shift” + “Delete”? Make sure you are using the “CTRL” and “Shift” keys on the same side of the keyboard. I have a huge problem. When I upload a video clip in the Hero and use the same file name, the old video clip will appear even if I restart the computer. I know that I can clear the cache memory in Chrome and I can change the filename but I can’t change the HTML code, because I can’t reach it in the WordPress. My customers don’t clear their cache memory because they don’t know that I have changed the movie clip and believe that the page is not up to date. In Brave, the new film clip comes up when I reboot the computer. But in Chome, the old clip remains for days and even more. System would not let me input the email address and submit. i use ccleaner and clear my cashe on google… but these dam f 0000 files keep coming back .. any help would be appreciated.. i am thinking these are adware or something…not sure where else to go. As long as you don’t check the “Passwords” box, they shouldn’t be deleted. I am worried it will delete all of my stored passwords; can you include that info? So what the hell do I do when my “advanced” is grayed out? Thankyou this was very helpful ! !